This analysis of the unresolved conflict over Jerusalem focuses on Israel’s decisions, decision-makers, and the decision process from 1947 to December 1949 that culminated in Israel’s first and most controversial decision to make Jerusalem the political capital of the new state, a decision persistently rejected by the Palestinians, all Arab and Muslim states, and many other states during the past near-seven decades. 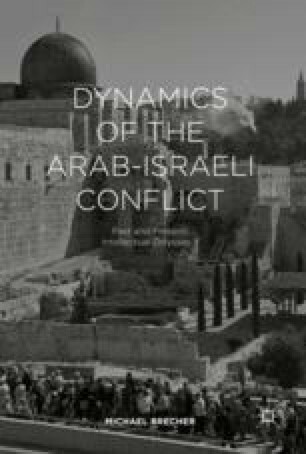 The analysis explores the onset of Israel’s behavior, the core decision, the decision-makers (all of whom were interviewed by the author in the 1960s and 1970s), the attitudinal prism and perceptions of the decision-makers, their decision process, the implementation of the 1949 decision, and the hostile reaction of most states to the 1949 decision. This chapter also notes subsequent decisions by Israel, after the Arab–Israel War in 1967, that extended Israel’s sovereignty over East Jerusalem, which the Palestinian national movement has long claimed as the capital of an independent Palestine.